National Security Archive: Complete Declassified Pentagon Papers at Last! What Were the 11 Missing Words? Enter the National Security Archive’s Reader Contest! Washington, DC, September 16, 2011 – For the first time ever, all three major editions of the Pentagon Papers are being made available simultaneously online. The posting today by the National Security Archive at George Washington University (www.nsarchive.org), allows for a unique side-by-side comparison, showing readers exactly what the U.S. government tried to hide for 40 years by means of deletions from the original text. Today’s posting includes the full texts of the “Gravel” edition entered into Congressional proceedings in 1971 by Sen. Mike Gravel (D-Alaska) and later published by the Beacon Press, the authorized 1971 declassified version issued by the House Armed Services Committee with deletions insisted on by the Nixon administration, and the new 2011 “complete” edition released in June by the National Archives and Records Administration (NARA). Accompanying the posting is the National Security Archive’s invitation for readers to identify their own favorite nominees for the “11 words” that securocrats attempted to delete during the declassification process for the Papers earlier this year, until alert NARA staffers realized those words actually had been declassified back in 1971. Best submissions for the “11 words” — as judged by National Security Archive experts — will appear in the Archive’s blog, Unredacted, and on the Archive’s Facebook page. National Security Archive senior fellow John Prados wrote the introduction and analysis for the posting. Archive analyst Carlos Osorio coordinated the data processing for publication. Archive staff Wendy Valdes and Charlotte Karrlsson-Willis did the input, indexing and cross-referencing, and the Archive’s webmaster Michael Evans managed the online publication of the Pentagon Papers. With a simple press release on June 8, 2011 the National Archives and Records Administration (NARA) announced that five days later the United States Government would declassify and make public the full forty-seven volumes of the set of studies universally known as the “Pentagon Papers.” The studies acquired that name when they were leaked by Daniel Ellsberg, one of the analysts who had worked on them but had subsequently gone into the opposition on U.S. policy in the Vietnam war. The National Security Archive here posts, for the first time anywhere, a combined, comparative, and searchable set of all the major editions of the Pentagon Papers together with a cross-referencing index to all the sets. As it happens NARA’s release of the Pentagon Papers coincided exactly with the 40th anniversary of the day in 1971 when the leaked documents began to appear in the press, at first the New York Times, but then also the Washington Post and many other news media. The Nixon administration attempted to suppress the leak of the Papers by seeking a prior injunction against their publication from the U.S. Court. It succeeded thereby in making the Pentagon Papers into one of the significant political documents of the 20th Century. The case went to the Supreme Court, which decided against the government in a notable First Amendment decision affirming freedom of the press. With this background the reader can begin to understand the secrecy issues that swirled around this set of materials. The first point is that the Ellsberg leak involved the disclosure of official documents. The study’s actual title, “United States-Vietnam Relations 1945-1967,” reveals that the contents of the papers concerned the Vietnam policies of Lyndon B. Johnson and previous presidents back to Franklin D. Roosevelt. Second, these were official documents classified at a high level. Those who worked on the Pentagon Papers have affirmed that the materials were classified this way in order to prevent the Johnson White House from discovering that this review was underway, but Nixon officials argued the documents were secret only because they included information whose disclosure damaged the national security of the United States. The administration argued this both in the Pentagon Papers court case and in the subsequent criminal prosecution of Daniel Ellsberg and his confederate, Anthony J. Russo. For forty years from 1971 until 2011 the U.S. Government has continued to take the position that the Pentagon Papers remained secret even though anyone could read them. Repeated efforts to secure the declassification of the Pentagon Papers were denied or ignored. In the meantime the clamor for access to the Pentagon Papers resulted in the appearance of several editions of the documents. The most widely available and best-known of these versions is The Pentagon Papers as Published by the New York Times, which compiled in one place the series of articles and set of documents that newspaper had published. (Note 1) This edition attracted huge public attention and went through many printings but was flawed in that it represented a very narrow selection among the plethora of materials contained in the original. The Times reporters had distilled the 43 studies of the original to which they had access into a single volume. That version was far surpassed after an Alaska Democrat, Senator Mike Gravel, read the Pentagon Papers into the Congressional Record. This material was taken by the Beacon Press of Boston and published as a four-volume (2,901 page) set that contained nearly all the material in the actual studies and also added in a series of documents that the original had lacked (this will be called the “Gravel Edition”). (Note 2) Meanwhile the Nixon administration itself had promised to release a set of the Pentagon Papers and it did so through the Armed Services Committee of the House of Representatives. This appeared in twelve volumes, or “books” (6,742 pages), and was published by the U.S. Government Printing Office. (Note 3) This edition (hereafter termed the “HASC edition”) exactly reproduced the original, minus numerous deletions that reflected the Nixon administration’s claims for national security damage framed in its court cases. As a result of the way the Pentagon Papers surfaced there have always been difficulties in using them. The Times version, widely available, only scratched the surface. Both the Gravel and HASC editions appeared in only a few, or one printing, and were therefore not very accessible to the public. Restricted availability—in many cases limited to good college libraries—kept the full set of materials away from most of the public. The Gravel edition had the virtues of having a straightforward presentation and including Johnson administration documents. The HASC edition’s advantage lay in its much more ample documentation on the presidencies of FDR, Harry Truman, and Dwight D. Eisenhower. On the other hand this version used the pagination of the original Department of Defense compilation, which was confusing and changed almost as often as the studies themselves. None of the 1971 editions included four volumes of diplomatic accounts of Johnson administration peace feelers to North Vietnam, which Ellsberg had withheld when leaking the rest of the Pentagon Papers. An expurgated set of those studies only became available in 1983. (Note 4) The complete Diplomatic Volumes were finally declassified in 2002. That release resulted in the stunning contradiction that the Diplomatic Volumes of the Pentagon Papers—deemed too sensitive even to leak in 1971—were fully available to the public while the major portion of the review—which has been available to the public ever since 1971—remained secret. In any case, until now the United States Government has insisted that the Pentagon Papers are secret while those who sought to learn from them have been able to read whatever version they could access, each with its own flaws. The NARA action in releasing the full set of studies, a token of its commitment to major declassification initiatives, permits comprehensive examination of the Pentagon Papers for the first time. However, readers remain hampered by the confusing organization and structure of the original Department of Defense review. Using the Gravel edition to find material, and then looking it up in the original actually remains a suitable way to proceed. This has been problematical not only because of the confusing pagination in the original but due to the differences in availability of the various editions. Even the new NARA release, although it is online, limits the user to one item at a time because it is organized by file corresponding to study volume. The National Security Archive has undertaken to make the full Pentagon Papers completely accessible. We have done this by arranging a full-matrix display. This presentation shows each page of the fully declassified NARA version of the Pentagon Papers side-by-side with the corresponding page of the HASC edition and corresponding material from the Gravel set. From this display it is possible to instantly identify the passages deleted by the Nixon administration in 1971, as well as how editors changed material in the original when compiling the Gravel edition. We have excluded the Times version because that consists of the summarizations of authors and only a limited portion of text. The Archive has also undertaken to make available an Index that permits cross-referencing among the various versions we are displaying—not only the pdf panels but also the page numbers in the printed editions of these works. An introduction to the Index makes clear how it is organized and can be used. This posting of nearly 20,000 pages has been an enormous undertaking and required the cooperation of many Archive personnel. Information technology and Latin America specialist Carlos Osorio conceptualized and coordinated the data processing for the multi version publication. Analyst Wendy Valdes organized and verified the inputs. Analyst Charlotte Karrlsson-Willis created the Index with assistance from Valdes. Webmaster Michael Evans (also a Latin Americanist) accomplished the final work of getting the page matrix display up on our website. NARA’s release of the Pentagon Papers was accompanied by a fresh demonstration of inappropriate secrecy policy. In reviewing these documents for declassification, one authority sought to suppress eleven words on one page. What was silly about this exercise was that the “11 Words” were not classified. That is, in effect an agency sought to make secret a passage of the Pentagon Papers that had already been reviewed and declassified by the United States Government in 1971. Since classification is supposed to protect information that can damage the national security of the United States, the idea that the “11 Words” pose a danger to the nation in 2011 after having been in the open for four decades was startling. Calmer heads finally prevailed and the government relented and released the documents with no deletions. But it has not revealed what the “11 Words” actually were. Needless to say, the “11 Words” episode occasioned a playful guessing game in which people have tried to identify the offending passage. The National Security Archive posted its own set of eleven candidates. Here we would like to extend an invitation to interested readers to send us your own guesses. Accordingly we are sponsoring an “11 Words Contest.” Good candidate passages will be posted as articles in our blog Unredacted and on the Archive’s Facebook page, and the best ones will be incorporated into an Electronic Briefing Book as we proceed. There will be prizes for the best candidate passage and for runners-up. Beginning with the date of this posting we open a contest for readers to nominate their own favorite candidates for the “11 Words” a government agency wanted to suppress in the Pentagon Papers. Readers can examine the side-by-side page display of all the Pentagon Papers content posted here to find items to nominate. All entries must be received by 12:00 Midnight of Friday, November 16, 2011. Entries will be judged by National Security Archive panelists. The Grand Prize winner and Runners-Up will be announced by posting in the blog Unredacted on the National Security Archive website during the week that starts on December 17th. Prizes: The National Security Archive will award the best Pentagon Papers candidate for deletion a Grand Prize consisting of a set of the available Archive Readers—books on major international issues which include compilations of documents obtained by the Archive along with analysis by Archive experts. In keeping with the “11 Words” theme, in addition to the Grand Prize winner there will be ten Runners-Up. Each of these winners will receive a copy of the book Inside the Pentagon Papers edited by John Prados and Margaret Pratt Porter. Entries: Enter early and often! There is no limit to the number of candidate passages a reader may submit to the “11 Words” competition. However, entries must follow the format prescribed below. Only one candidate passage may be nominated in any single entry. Multiple entries must be submitted separately. All entries must be in writing, in an email to the Archive (at [email protected] ) or through our Facebook page. Please do not use Twitter, as a proper entry cannot be fitted within the Twitter message format. By submitting an entry the reader agrees in advance to cede to the National Security Archive the right to publish her/his entry in our blog Unredacted, on our Facebook page,and/or in one of our Electronic Briefing Books. The National Security Archive will be solely responsible for the selection of entries that we publish and when they may appear. Entries that are published become finalists in the prize competition but there will be no monetary or other compensation. Those which do not rise to that level will not be circulated. Entries that do not follow the prescribed format will automatically be rejected. When entries do appear in Unredacted or on Facebook, readers should feel free to comment on them just as they do regarding any of our other articles. Quotation: The entrant must pick a specific phrase of the Pentagon Papers, precisely 11 words long, and the phrase nominated must be quoted verbatim in the text, enclosed in quotation marks. The entrant is free to nominate an 11 word passage embedded in a longer sentence—but in that case the full sentence must appear as the quotation and the 11 word phrase must be highlighted in bold. Candidate phrases longer than 11 words are not acceptable. Reference: The entry must provide the exact Pentagon Papers page citation for the 11 Words nominee. The page numbers will be found on our side-by-side display or they may be taken from the original published NARA/HASC edition. Page numbers taken from the Gravel or other editions of the Pentagon Papers are not acceptable. Eligibility of Phrases: What made the 11 Words controversial was that this exercise was an attempt to make secret anew a text that had been declassified and lay in the public domain since 1971. At that time the declassified version of the Pentagon Papers was the HASC edition. Consequently, to be eligible for nomination a phrase must appear in the HASC edition of the Pentagon Papers. Readers will easily be able to establish whether any given text was published in the HASC edition simply by referring to the side-by-side pages we have displayed in this posting. The eleven phrases already nominated by the Archive (in EBB 350) are not eligible for selection. Any entries that do nominate them will simply be regarded as thoughtful comments on work already done. Judging: All entries will be reviewed by a panel of National Security Archive experts. Our criteria will be the plausibility of a government secrecy claim with respect to each set of 11 Words nominated, along with the substance and quality of the reader’s argument for why a particular phrase must be the real 11 Words. Since there is no “right” answer, everything will depend on the reader’s selections and the quality of her/his argumentation. The Archive has no preconceived notion as to the true identity of the 11 Words. Entries will be judged solely on the basis of the case they make. Inaccurate quotation or source referencing, frivolous argumentation, and failure to incorporate required elements of the format will be grounds for rejection. All decisions of the judges will be final. 1. Neil Sheehan, Hedrick Smith, E. W. Kenworthy, and Fox Butterfield, The Pentagon Papers as Published by the New York Times. New York: Bantam Books, 1971. 2. The Senator Gravel Edition: The Pentagon Papers: The Defense Department History of United States Decisionmaking on Vietnam. Boston: Beacon Press, 1971. 3. Leslie H. Gelb, et. al, eds., United States-Vietnam Relations 1945-1967. Washington: Government Printing Office, 1971. 4. George C. Herring, ed. 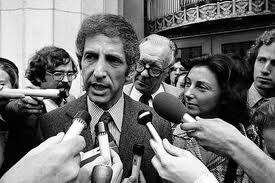 The Secret Diplomacy of the Vietnam War: The Negotiating Volumes of the Pentagon Papers. Austin (TX): University of Texas Press, 1983.